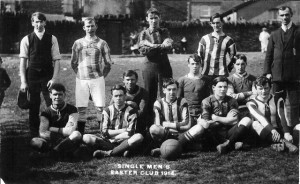 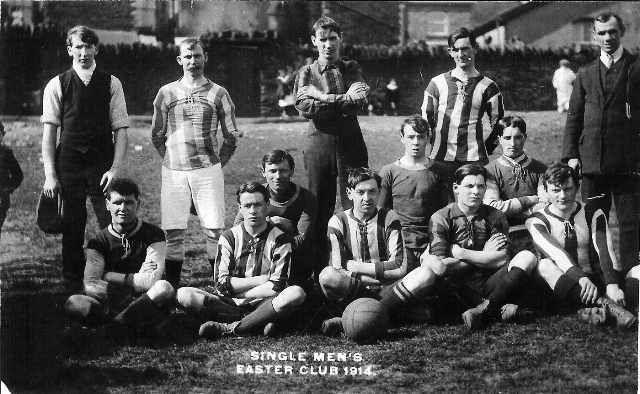 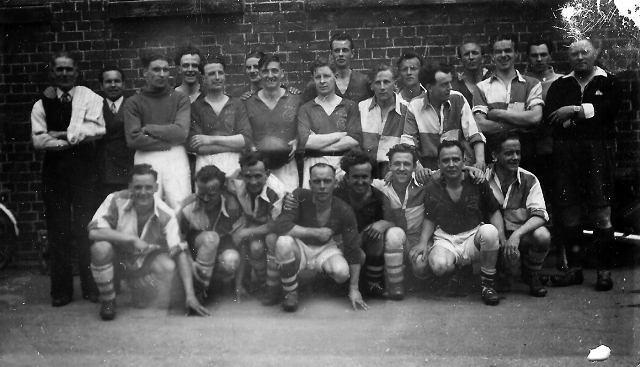 The Single men’s Easter club Football team 1914, the photograph looks to be taken on the site of the allotments, it must once have been a football field. 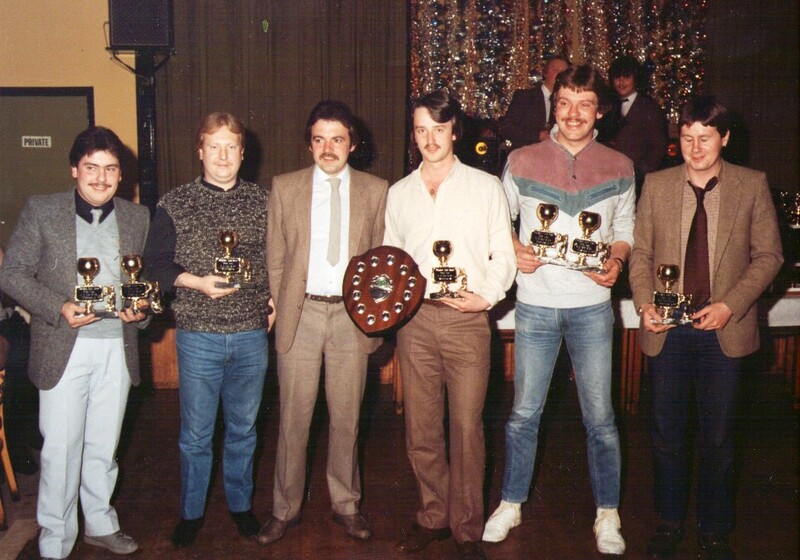 Thirty years ago, around 1980, the district had many pub and club goers who were involved in Pool. 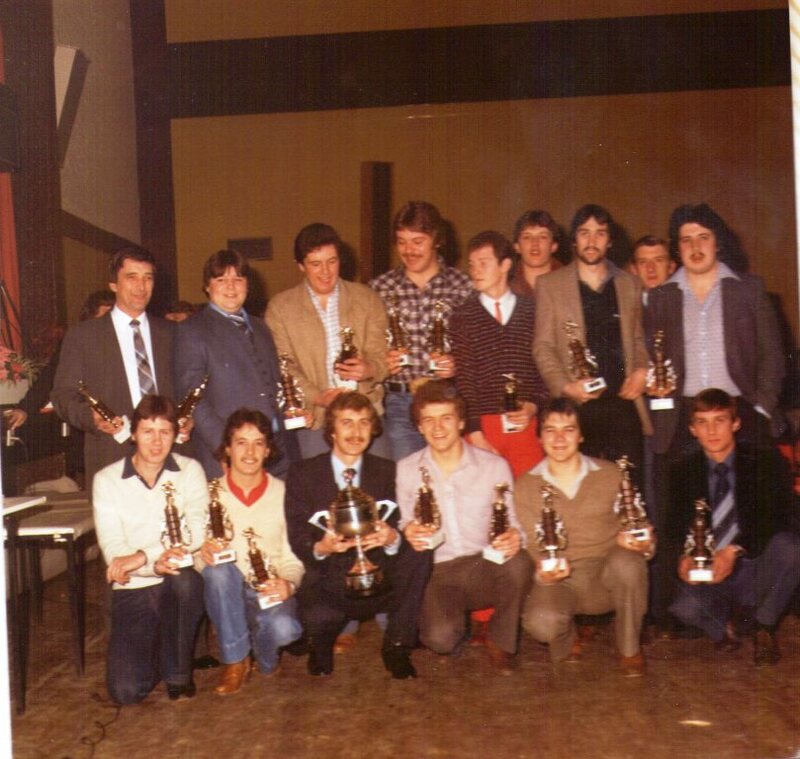 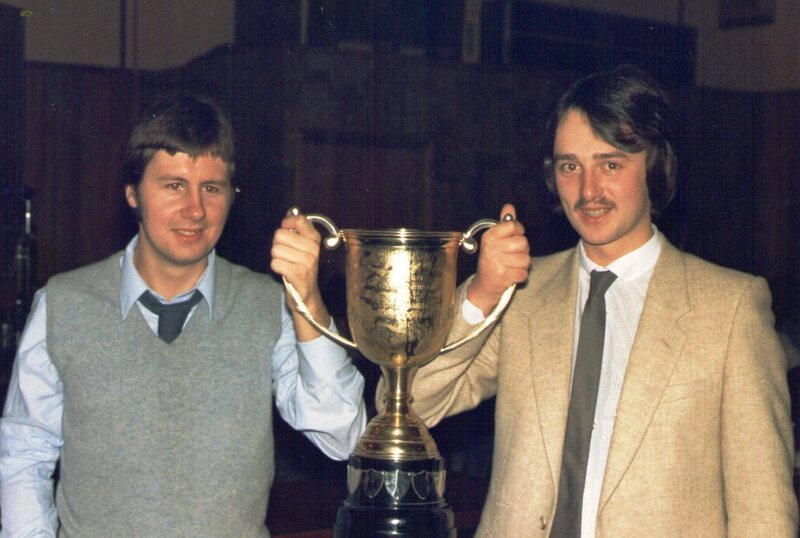 The pool tables had been added to the pubs and clubs during the 1970’s and by 1980 there were two powerful, well supported pool leagues in our District, The Merthyr Sunday night Pool league and the Nelson and District Monday night league. 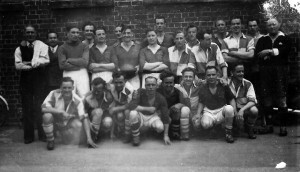 The Nelson and District Pool league once had over 30 teams, 4 divisions and over 200 registered players and some of the best of these played pool for the Western Hotel in Edwardsville. 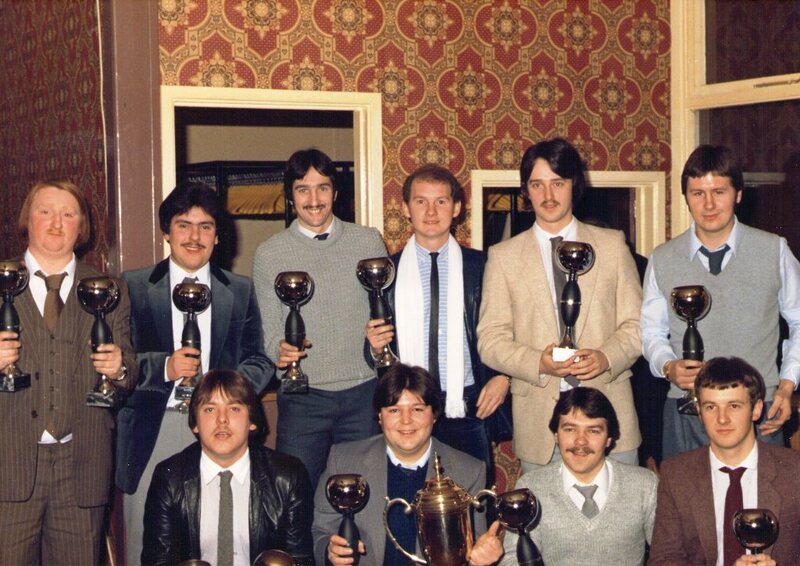 Thanks to Adrian Evans who still resides in Edwardsville we are able to show some photographs of the Western team from those days way back in the Eighties, there will be some very recognisable names and faces and I hope the pictures bring back memories of those days when Pool was king. 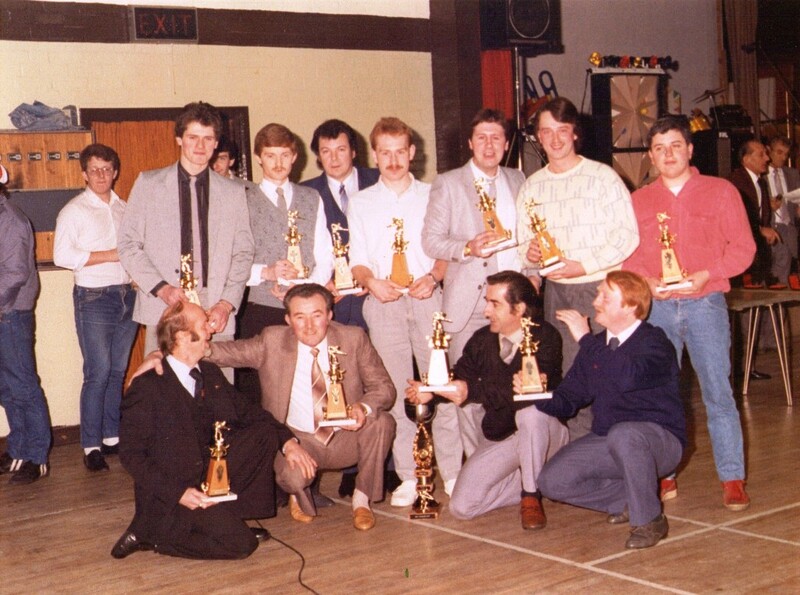 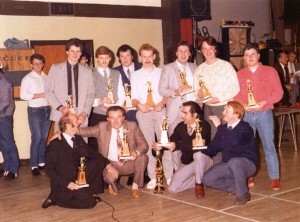 Up on the stage at the presentation night, which was held at the old Trelewis Ex-Servicemen’s club were Tony Sawday and Paul Pongo Harris who were on the Pool league committee.